Real Life Stories - Advanced First Aid, Inc.
Don't wait for the help. Be the help. October 3rd of 2013 began like any other day. I woke up, got ready and went to work. Little did anyone know what was about to happen. While working on a vehicle I began to feel a little off. It was close to lunch time so I put down my tools, washed my hands and sat at my tool box to eat lunch, just like I do almost every day. The next thing I remember is waking up in a hospital in a total state of confusion with doctors, nurses, family and friends surrounding me. All in disbelief (myself included) and all so happy to see me awake. I was told that I went into sudden cardiac arrest at work, I fell on the floor and was displaying the usual signs of convulsions, agonal breathing and unresponsiveness. A coworker heard the commotion and ran to me, recognized the signs and began immediate bystander CPR while another coworker called 911. I was given bystander CPR for approximately 5 minutes until the local police and EMT’s showed up and took over. I was then given a single shock from an AED and my pulse came back and returned to a normal rhythm. I was dead for 7 minutes! From that point, I was rushed to the hospital and put into therapeutic hypothermia. A controlled coma technique used to save brain function after being without oxygen rich blood for a long period of time. 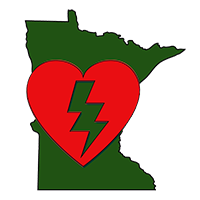 Thanks to bystander CPR, a call to 911 and a nearby AED my life was saved. The therapeutic hypothermia saved my brain function as well and I have made a full recovery. 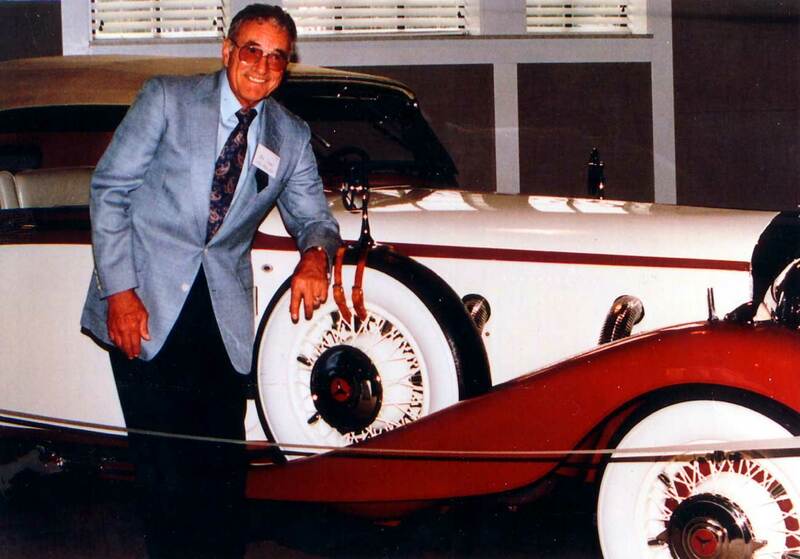 Don was an avid golfer and vintage car restorer. Don still is today due to an AED and a quick acting rescuer. On an August afternoon last year, Don was playing golf at the Monticello Country Club. He had not been feeling well. Don wasn’t having chest pain and he wasn’t short of breath. Don had an extremely anxious feeling and just couldn’t settle down. Don was scared. Not knowing what to do, Don called his son who called 911. Minutes later, Don suddenly stopped talking, became unconscious and turned blue. He had stopped breathing. A quick thinking rescuer hooked up a nearby AED. The rescuer had been AED trained and recognized Don’s life threatening condition. Once the AED pads were placed on Don’s chest, the AED analyzed Don’s heart rhythm. It was recognized as a lethal arrhythmia and the AED immediately self-charged to shock Don’s heart. Once the AED was charged, the AED told the rescuer to push the shock button delivering the shock. The first shock was not successful and the AED immediately repeated the procedure and the rescuer delivered the second shock. A few seconds later, after the second shock, Don began breathing and his skin color returned to normal. Don soon regained consciousness and immediately started questioning the rescuer of what had just happened. Don knew something serious had just happened to him, but he wasn’t sure how to explain it. The paramedics told Don that his heart had stopped beating. The AED and rescuer saved his life. Don was transported to the hospital. Cardiologists diagnosed Don as having a heart attack, and placed a stent in one of his coronary arteries. Don has lived a normal life ever since the incident. Thanks to an AED and a trained rescuer, Don continued to restore vintage cars this past winter and is looking forward to golfing this summer. Don’s story is not unusual. He was resuscitated because his heart was shocked with an AED immediately. AEDs work and should be available where ever you see a fire extinguisher. On December 4, 2012, I was at work as a triage nurse at my clinic. I had just eaten a large meal at our work Christmas dinner. An hour following the meal I developed severe stomach pain that traveled up my chest and to my right side. Thinking I was experiencing a gallbladder attack and not wanting to think it was my heart I waited for the pain to subside. That evening, while at home, the pain persisted but not as severe. On December 5, 2012, I still didn’t feel well so I saw a provider. I saw my physician and sent me for an ultra sound as I told him I thought I was having a gallbladder attack (I was actually experiencing a heart attack). I drove myself to get the ultra sound. As I lay on the table the ultra sound tech asked me to turn on my left side. I experienced profound dizziness and exclaimed “whew, I’m dizzy”. At that moment I died. An AFA AED was immediately attached to me, a shock was delivered, and my heart returned to a normal heart rhythm. I am so grateful every day to God for the AED at that business and those that were quick to respond to save my life. March 8, 2015……never saw it coming. It really was a typical day and I still cannot remember any of the normal precursors that indicate problems……. never saw it coming. I’m a passionate hockey player. Every week for the last 25+ years I have been lucky enough to skate with a great group of people. On this day I found out just how great these guys are. While playing hockey with my buddies, my arrest presented with a short dizzy spell. I recall passing the puck to a teammate… then dropping to the ice. I tried reaching for the ice to break my fall, then nothing. Most everyone that I play with have been trained for “Hands Only” CPR and in the use of an AED. 2 minutes was all it took for them to respond, deploy the AED and bring me back. The resuscitation was all about being prepared. Identifying the cardiac arrest, calling 911, starting CPR and powering on the AED. That AED saved my life. That AED had been hanging on the wall for years and I never had paid any attention to it. Now I do. That quick response has given my life and family back to me. 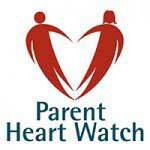 It has kept a father in my kids lives and a husband for my wife! No one that I skate with EVER saw this coming……… I have no words that will ever explain my appreciation enough. .